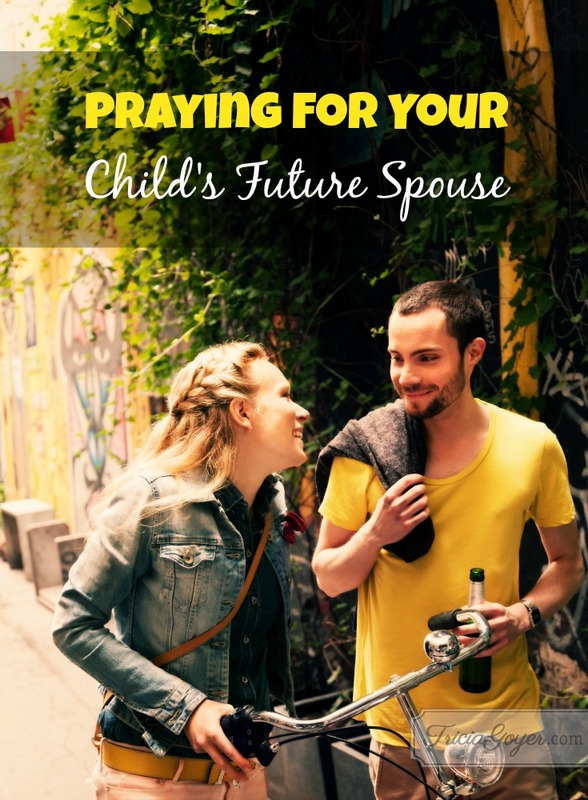 You can pray for all of these things for your children’s future spouses, and don’t forget to pray the same things for your children, too. I have one child who is married and one who is engaged, and I’m continuing to pray all these things for the four other children still unmarried. And since my youngest is four years old, I’ll be praying for quite a while! That is an AWESOME testimony! You just gave me goosebumps! My daughter and step son are both married with their own families now. I can still pray for the their salvation and for our grandchildrens future spouses. I also have a 5 year old great grand daughter and a new great grand baby on the way. Thanks for putting this on my heart. Shirley, keep praying! I know your prayers will make a difference!